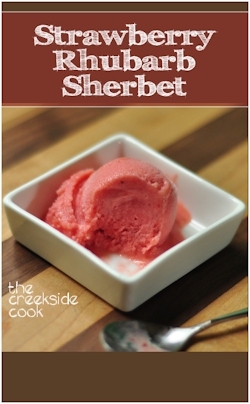 This entry was posted in recipes and tagged dessert, fruit, ice cream, sherbet. Bookmark the permalink. Oh just the colour of it is an absolute pleassure! What a great idea, it really looks appetizing and refreshing! I want an ice cream machine too, I keep hinting to my loved ones… but no one has gotten the hits yet, I may need to be more aggressive! Oh my gosh – I could not agree more about the color! That last photo makes me want to dive right in! I want an ice cream maker so bad! It looks like so much fun. This is a delightful recipe and your photographs are so beautiful! Okay …. when you miss a feww days (maybe even a week) of dlynz.com …. you realy miss! I will be getting caught up! Marta – making ice cream is my new recreation. Unfortunately, eating it is second new recreation! SO much fun! Janey – you will have to wait till I make some more – as of lunch time today, this batch is history! Thanks zoe – I checked out your lovely site too. Very nice! CM – there are people who don’t come here every single day? What’s up with that? Char – I just polished it off and looking at the photos makes ME want some more – as pretty as the photos are – it tasted 3 times that good! beautiful and refreshing! i can already taste it. A wonderful combo! That ice cream looks really good! I want to come live with you!!!!!!! Yum! I will definitely have to hunt down my ice cream machine from the basement. People always say, “It’s so easy!” but I usually can’t be bothered. I had a great laugh over this! I was reading the “diminutive spoon” thing and thinking, “oh, HECK no,” and then you hauled out the ladle. THAT’S more like it. LOL Thanks. Looks wonderful!